Oswego. Entrance to Prosser Iron Mine. Description Pin hole at top center. 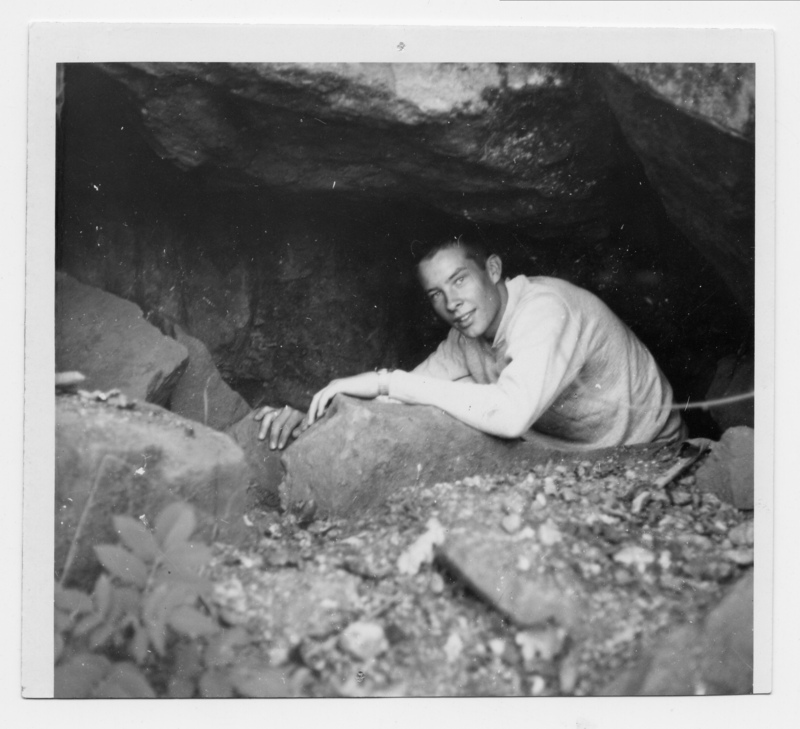 In an envelope labeled: Mine opening, 1958. Gary Woods in entrance. Entrance to "old mine" of Ore. Iron & Steel Co. circa 1882. Description of this mine in Oregonian Feb. 6, 1892 p.8. Transcription Oswego. Entrance to Prosser Iron Mine. Physical Description H 4" x W 4.5"